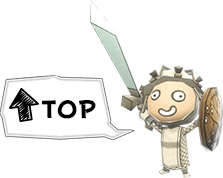 The Item Level Boost Campaign is here!! 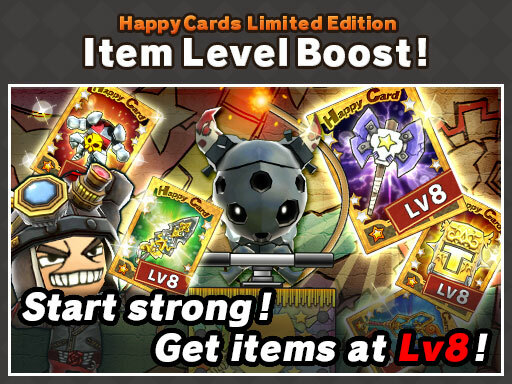 During the Item Level Boost campaign, all items in Happy Cards Limited Edition come at level 8, right away! Any item you receive will be battle ready from the get-go! Items from Happy Cards Limited Edition normally appear at level 1. However, during this campaign you can get items straight at level 8 saving you time, Happy Stars and materials. And don’t forget, the experience you get from level 8 materials is significantly higher than level 1 materials, so this campaign is great for leveling up other items as well. *Please note that Item Level Boost Campaign will not be applied to the normal Happy Cards.